It's July 12 again which means another wedding anniversary for my husband and me! 19 years????? Hard to believe! 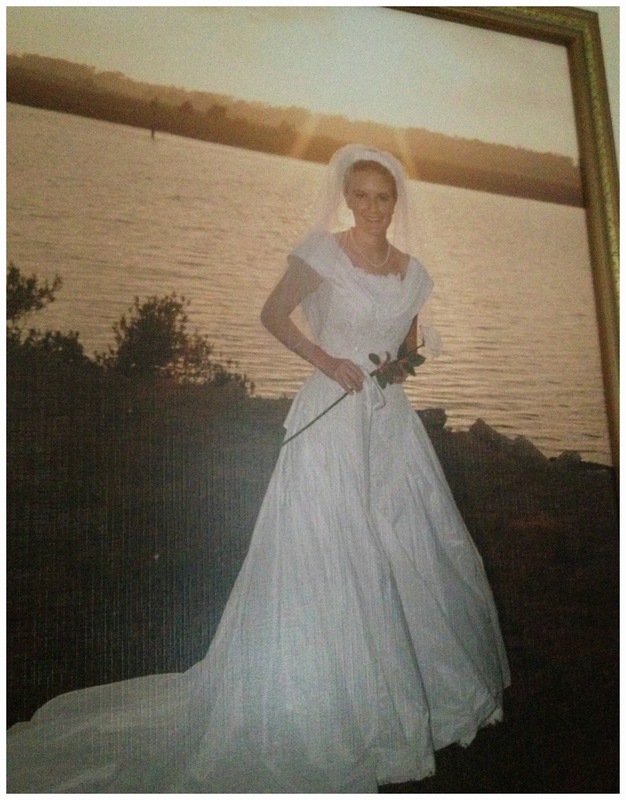 If you have followed my blog awhile, these pictures and even this post may look familiar since last year on our 18th wedding anniversary this was my post. (Copy and paste is a wonderful tool, especially when I should be doing a million other things besides blogging!) But, hey I love the post so much, why not keep reposting it? We just got back home from a great family vacation to MD, PA, and MA. In MA we celebrated my Aunt and Uncle's 50th wedding anniversary with a Mass where they renewed their wedding vows and then we had a dinner and lots of dancing! Celebrating a 50th wedding anniversary with family was a great way to lead into our anniversary week! I hope to blog about our trip soon! 19 years ago today we made a covenant and said "I do!". Together, hand in hand, we have shared so much since first meeting on the beach in 1992. 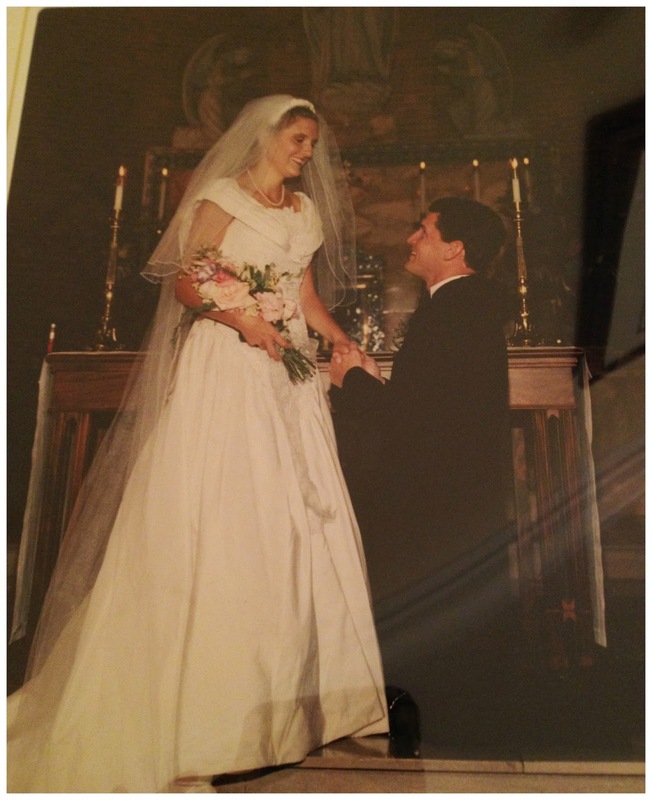 Today we celebrate our marriage of 19 years. This wonderful journey has been filled with many memories, blessings, trials, and joyful tears. With 5 blessings, I continue to love growing old with you! Everyday with you is a gift and so much fun too! 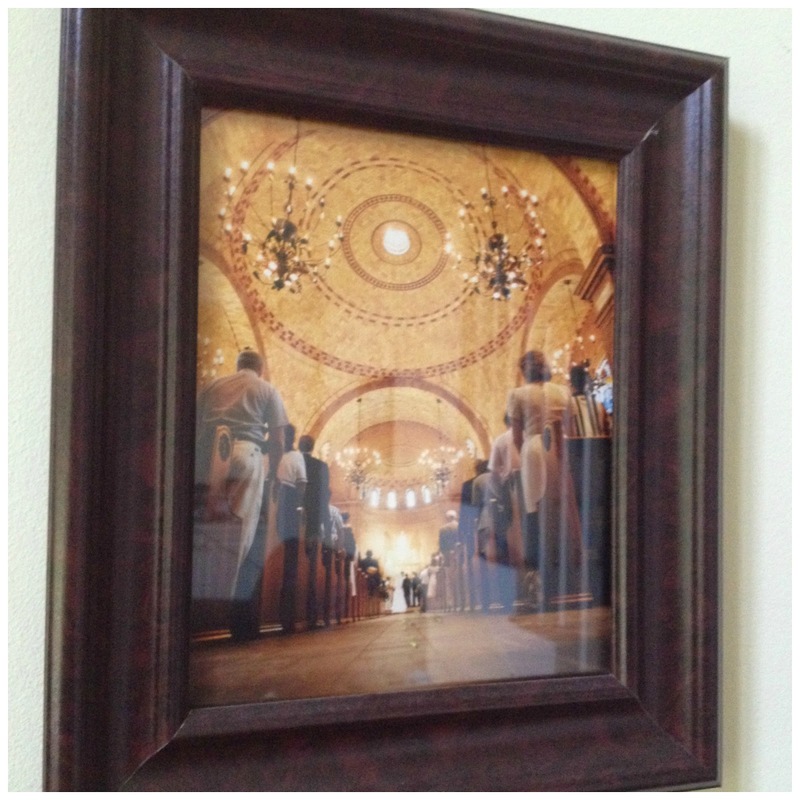 Memento 1: This photo of the church's ceiling is one of our favorites. The photographer captured this beautiful shot during our wedding ceremony. Since my hubby and I met on the beach we had a beach themed wedding cake complete with realistic-looking and delicious candy seashells cascading down the cake. The cake was so beautiful! She also made the shells so realistic that some of our wedding guests would not bite into them because they thought they were real seashells! Memento 2: This is a pre-wedding picture that I thought I would throw in here. This was taken on the beach in July 1995, two years before our wedding. Memento 3: We have this poem hanging near our kitchen/dining room and it was written by my mother-in-law one night in the middle of the night when it just popped into her head, as she explained it. She surprised us with this framed poem and read it to us at our rehearsal dinner. 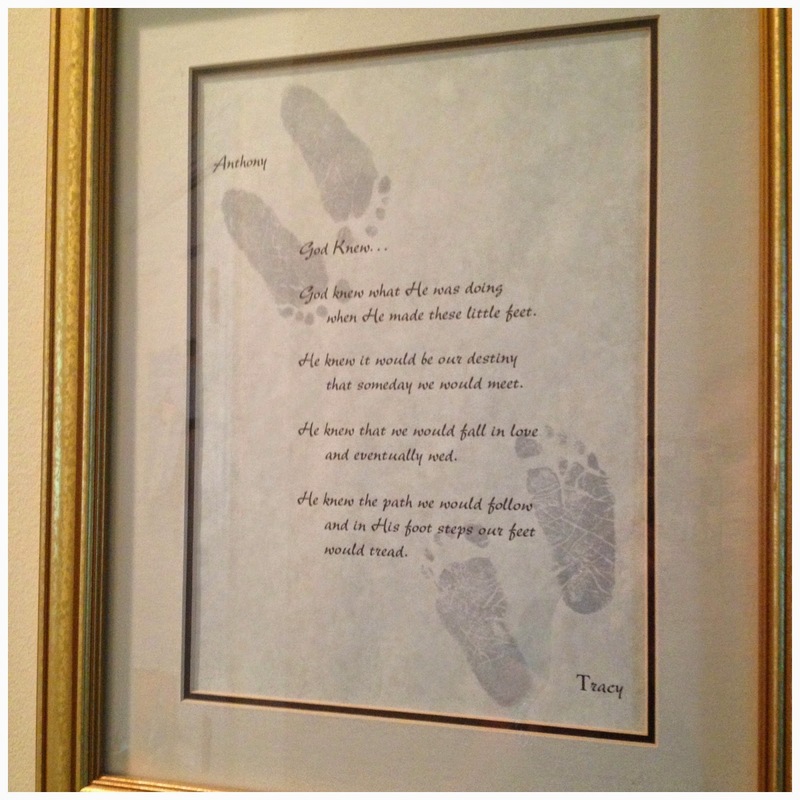 She scanned my husband's and my foot prints from our birth certificates and placed them onto the poem. Anthony's prints are in the top left corner, while mine are on the bottom right. 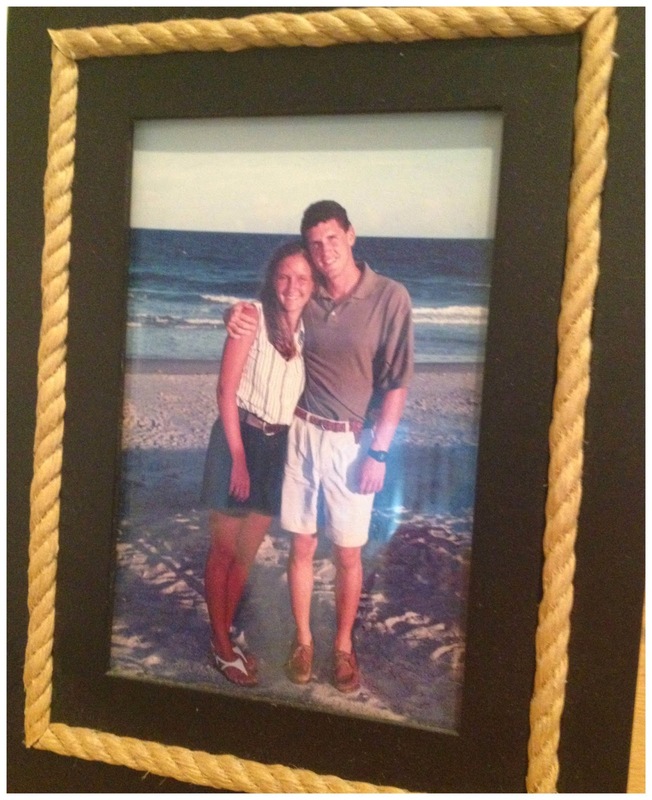 We will treasure this gift always and it's one of my favorite wedding gifts! God knew what He was doing when He made these little feet. He knew it would be our destiny that someday we would meet. He knew that we would fall in love and eventually wed. He knew the path we would follow and in His foot steps our feet would tread. Memento 4: Here is a Marriage Prayer that was a wedding gift from one of our friends (who is now a priest). 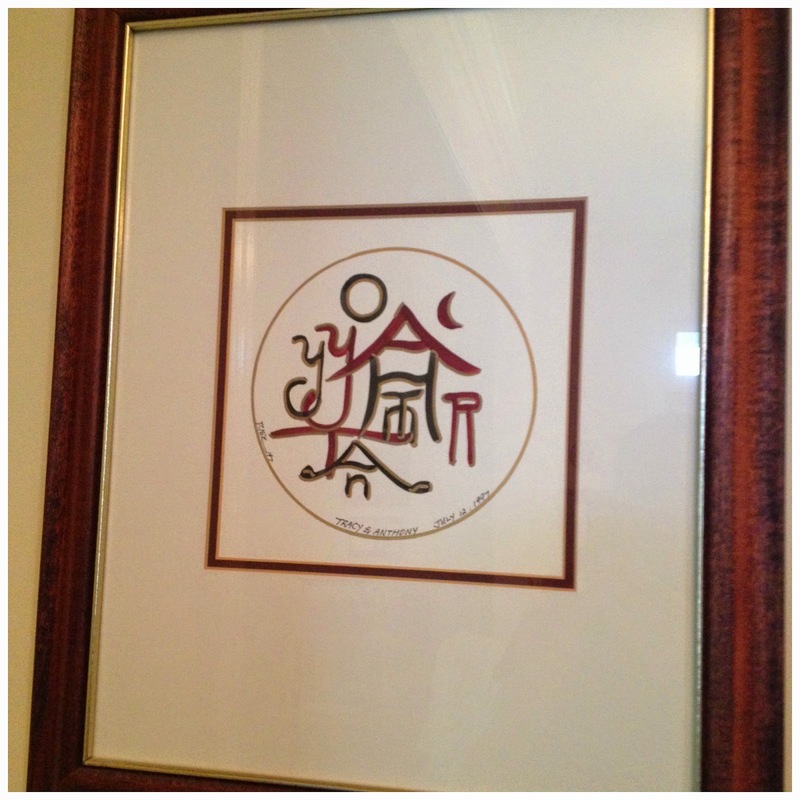 We have this prayer hanging in our bedroom and I love its simple, yet meaningful words. 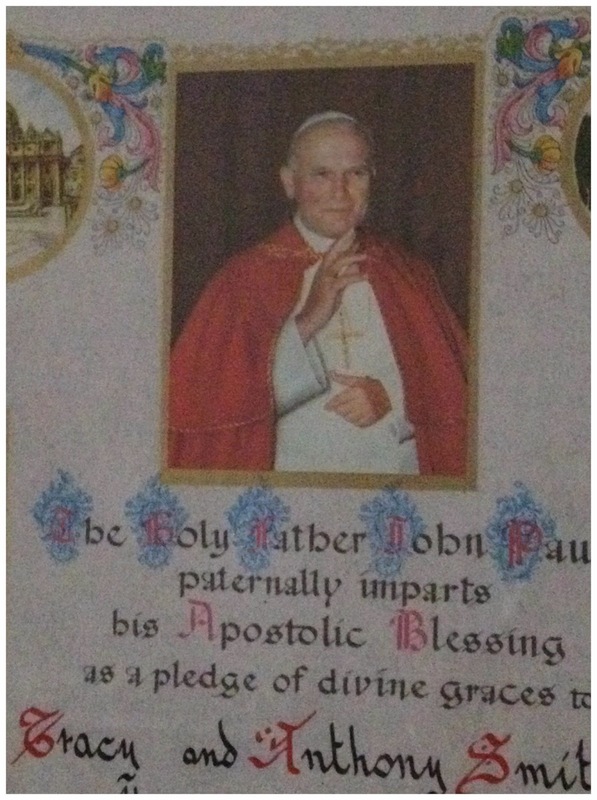 Memento 5: This was a gift that we have hanging in our bedroom...an apostolic blessing from then Pope John Paul II who is now Saint John Paul II! Memento 8: My wedding portrait taken by my Dad who is a professional photographer, but he hired his photography friend to take our wedding. 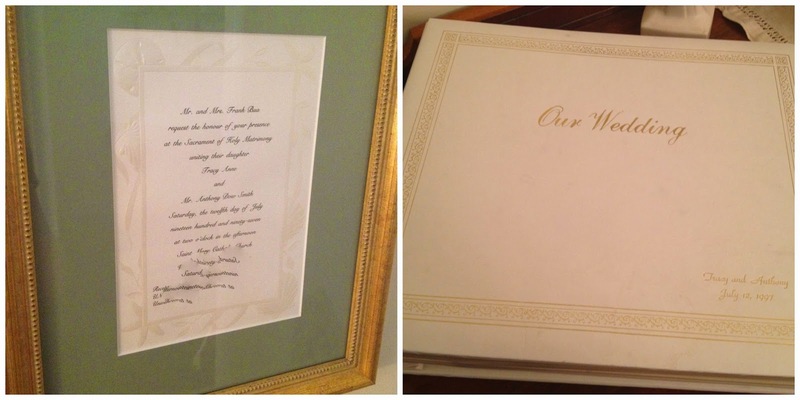 Memento 10 & 11: Our wedding invitation that my parents framed for us. Our invitation has seashells on the border to go with our beach themed wedding. 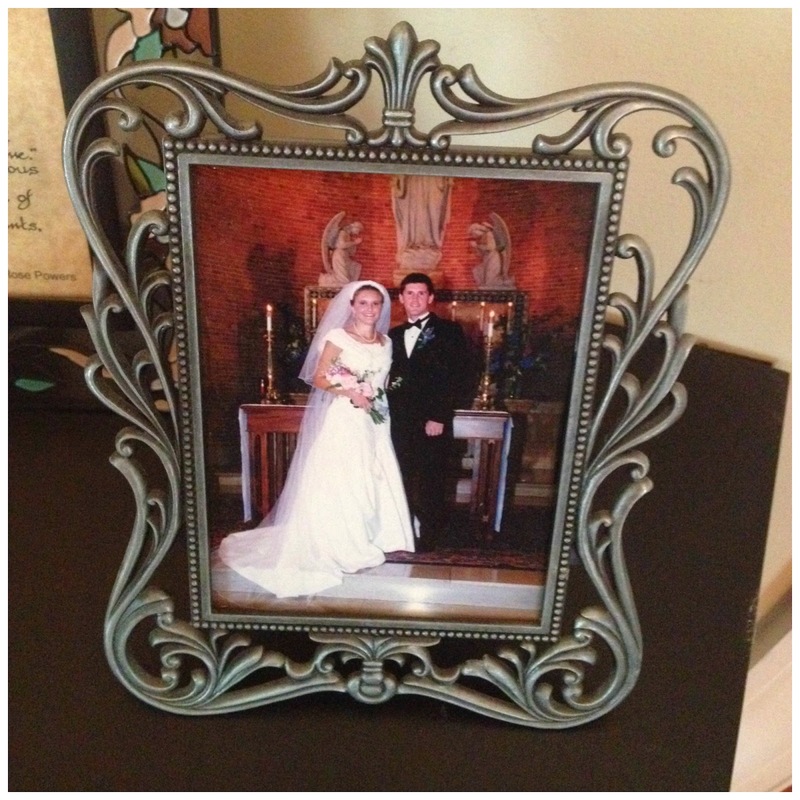 I edited the bottom of it to distort some location details, hence the funny looking print :) Our wedding album sits on our dining room buffet and occasionally I'll see our children flipping through it. 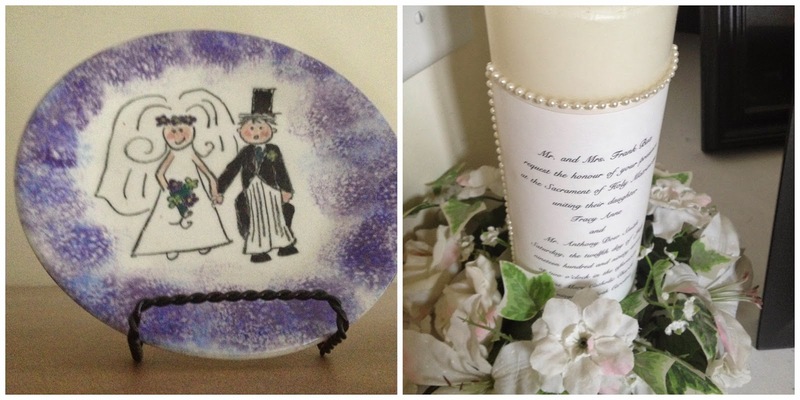 Memento 12 & 13: I love this bride and groom plate painted by our friends from college. On the back of the plate they accidently wrote "Love one anoter" so we all had a good laugh about that. I love the plate for the fact that they took time to make it so cute and unique with it's own "unique" spelling :) The white candle is decorated with our wedding invitation that was glued on by a relative and given to us as a gift. We light it each year on our anniversary. 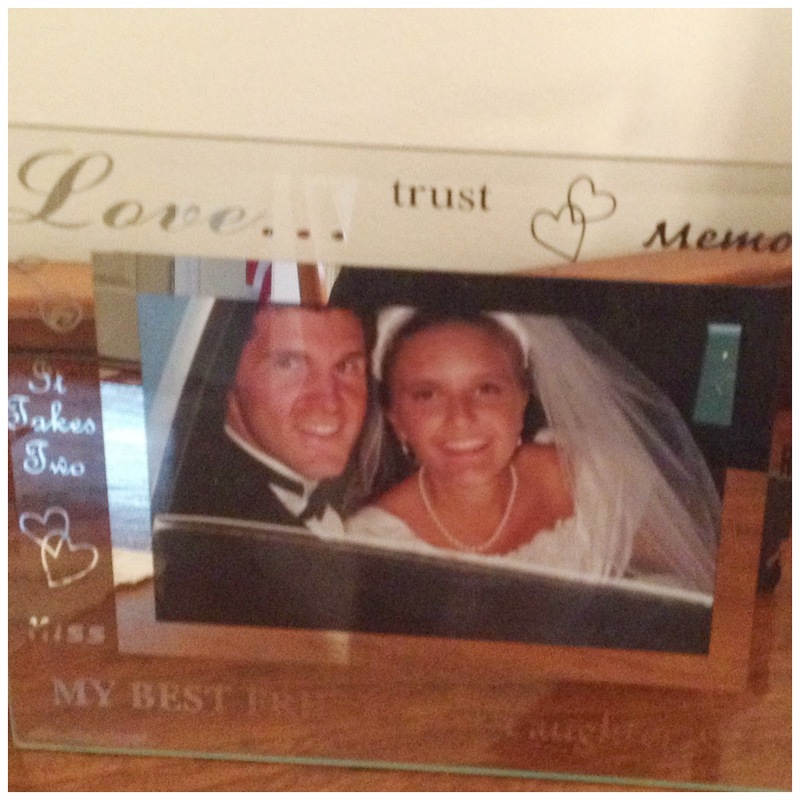 Memento 14 & 15: Our unique starfish frame that was gifted to us that holds a picture of us cutting our wedding cake at the reception. 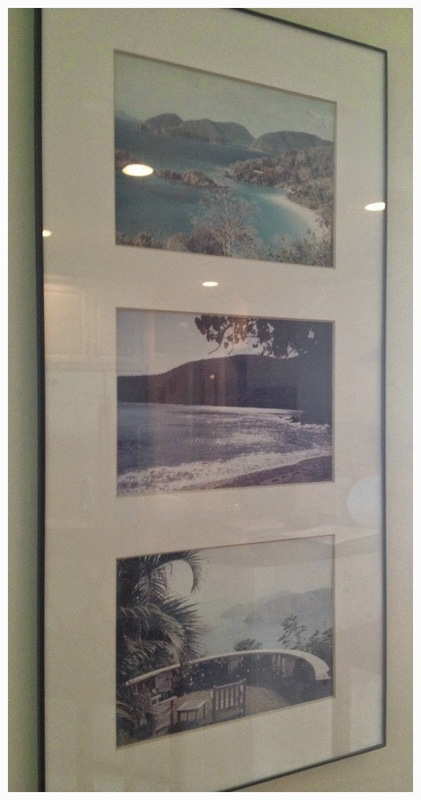 In the background is a picture of flowers that are popular in St. John Virgin Islands where we went on our honeymoon. 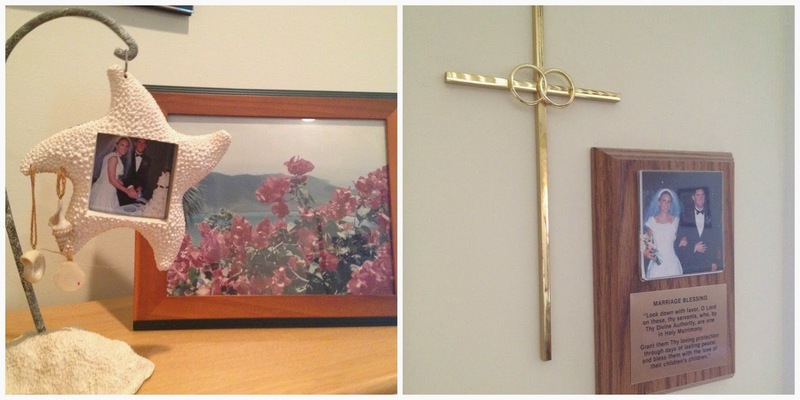 The picture on the right side shows the cross that was on top of our wedding cake and also hanging on our wall is a plaque with a beautiful marriage blessing on it. One tradition that we have done each year on our anniversary since our first anniversary is watch our video from our wedding. Now we did get married before the digital age so the color quality is...90ish, but the memories of our day continue to be with us each time we play our video. We did copy it onto a DVD to help make it last longer. It is a joy to now watch the video with our children as the younger ones have asked through the years why they weren't there to celebrate with us ;-) Each year we are not only reminded of our holy vows we took in front of our Lord, family, and friends, but we also get to see friends and loved ones that are no longer with us here on earth, which is sad. :( You know I still get "butterflies" and filled with excitement just before I watch the part of the video where I'm about to meet my true love at the altar and begin our lives as husband and wife! The reason I post this picture is because recently I came across this blog post about Why Should Men Propose on One Knee? and I thought I would share the author's insights about this honorable and well-known tradition. Of course, my husband isn't proposing here, but you get the point. We've been blessed with 19 wonderful marital years and I look forward to the next 19 + years ahead as God wills it. Wishing you a blessed and wonderful anniversary!!! And I wonder how it passed so quickly!!!! Thank you Billie Jo! Happy 25th Anniversary to you! That's so awesome! Congrats! God bless you always! I'm late to the party...Happy Anniversary Tra, to you and Anthony! I love everything about this post...your photos, your wedding "theme," the candles, the framed art in your foyer, I just love it all....... The "Smith family est 1997" is so perfect...I might try to replicate that for an anniversary gift for my hubby in December!! How wonderful! Thanks for sharing all these mementos..one for each year! What a lovely post and a perfect tribute to your marriage!! I know your bday is coming up soon as well.... I look forward to getting caught up on all the Smith family happenings!! Thank you Chris! 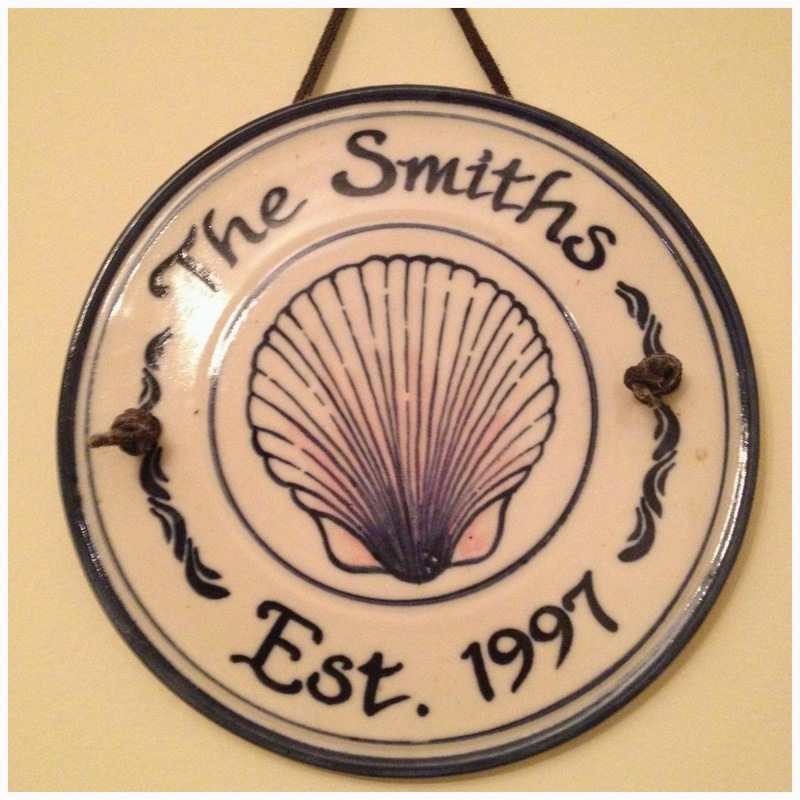 I love the "The Smith Family est." plaque too! What a great anniversary that would make for you hubby! Hi Lis! Yes I stare at the ceiling pic often! :) Thanks for stopping in!